Or maybe even the best? 13. Because it never gets old telling people, "No, IDAHO, not IOWA:"
...aka the "I DONT KNOW WHICH LANE I SHOULD BE IN SO I WILL BE IN ALL OF THEM" feeling. Like people from Idaho love drinking with their raccoons. 44. And Idaho has even appeared in "Hey Arnold." Can you say that, IOWA??? 45. 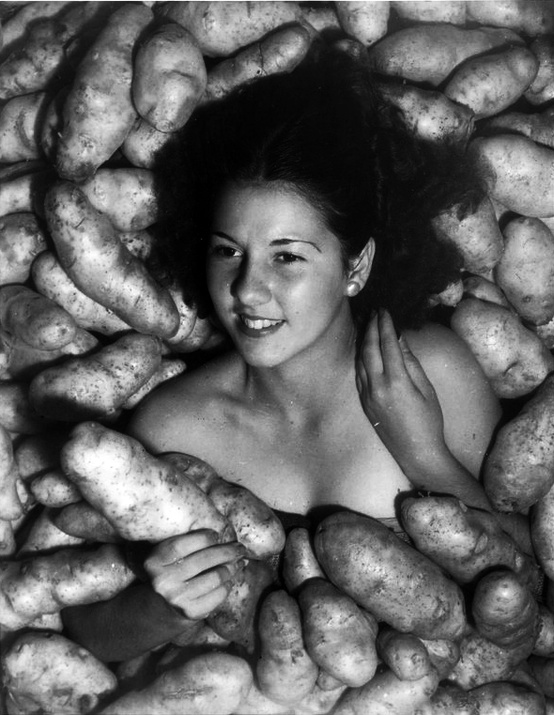 Plus, how many states can say they had a Miss Idaho Potato 1935? Not Iowa, that's for sure. So when you see this state flag (which, by the way, is the only state flag designed by a woman), you better RECOGNIZE!